This spring tutorial provides in-depth concepts of Spring Framework with simplified examples. It was developed by Rod Johnson in 2003. Spring framework makes the easy development of JavaEE application. It is helpful for beginners and experienced persons. Spring is a lightweight framework. It can be thought of as a framework of frameworks because it provides support to various frameworks such as Struts, Hibernate, Tapestry, EJB, JSF etc. The framework, in broader sense, can be defined as a structure where we find solution of the various technical problems. The Spring framework comprises several modules such as IOC, AOP, DAO, Context, ORM, WEB MVC etc. We will learn these modules in next page. Let's understand the IOC and Dependency Injection first. Thus, IOC makes the code loosely coupled. In such case, there is no need to modify the code if our logic is moved to new environment. In Spring framework, IOC container is responsible to inject the dependency. We provide metadata to the IOC container either by XML file or annotation. 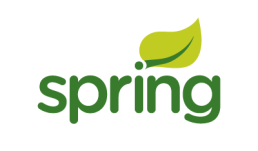 Spring framework provides templates for JDBC, Hibernate, JPA etc. technologies. So there is no need to write too much code. It hides the basic steps of these technologies. Let's take the example of JdbcTemplate, you don't need to write the code for exception handling, creating connection, creating statement, committing transaction, closing connection etc. You need to write the code of executing query only. Thus, it save a lot of JDBC code. The Spring applications are loosely coupled because of dependency injection. The Dependency Injection makes easier to test the application. The EJB or Struts application require server to run the application but Spring framework doesn't require server. Spring framework is lightweight because of its POJO implementation. The Spring Framework doesn't force the programmer to inherit any class or implement any interface. That is why it is said non-invasive. The Dependency Injection feature of Spring Framework and it support to various frameworks makes the easy development of JavaEE application. It provides powerful abstraction to JavaEE specifications such as JMS, JDBC, JPA and JTA. It provides declarative support for caching, validation, transactions and formatting.